Save your search - find out immediately when "Edwin Forrest" is available at auction! Literary Figures, Fourteen Signed Pieces. 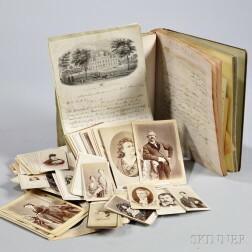 Smith, William Henry Sedley (1806-1872) Archive of Correspondence, Ephemera, and Other Material.